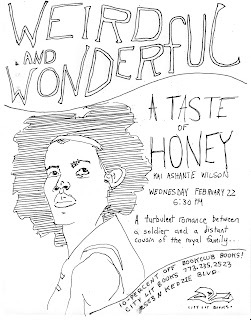 For the February meeting of City Lit Books Weird & Wonderful club, we discussed Kai Ashante Wilson's 2016 novella A Taste of Honey. 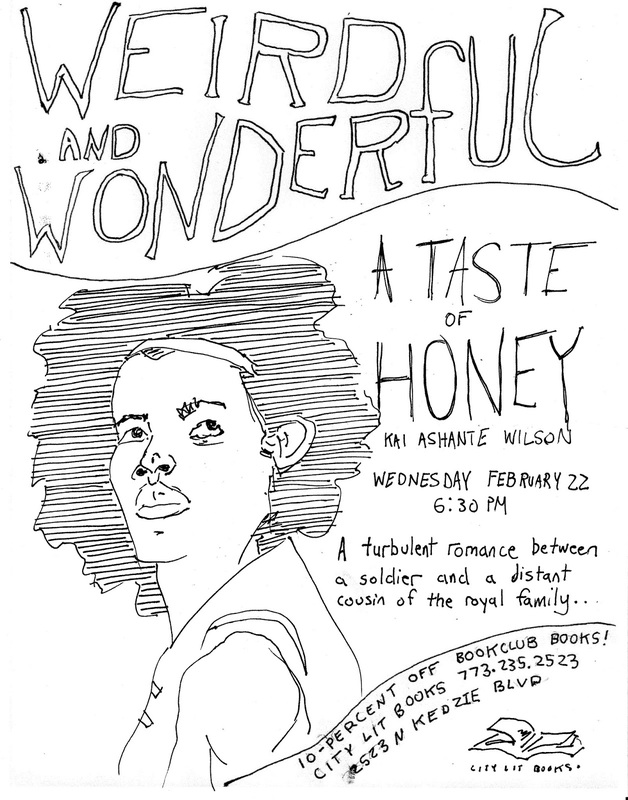 Set in the same world as Wilson's The Sorcerer of the Wildeeps (2015), A Taste of Honey is a kind of interrupted romance—chapters alternate between the 10-day affair of Aqib & Lucrio and the 7 decades of Aqib's life afterwards. There's magic here, gods and strange technologies, but the story focuses entirely on relationships. We started out from the end, talking about the title in the context of the final segment, with the Sybil claiming her price for giving Aqib his vision. The ending cements the story as being about choices—forking paths—which is interesting since for most of Aqib's story it doesn't seem like he has much in the way of choice. One of the biggest things we noted about the novella is that there's a lot going on, though often sort of glancingly and peripheral to Aqib's story and interests. The way "women's stuff" is dismissed or avoided by the men, for instance—really interesting when the women's stuff here is clearly advanced mathematics, philosophy, and near-magical technology. 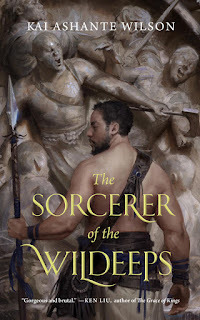 A few folks were suprised to discover that this is essentially a standalone work (set in the same world as Sorcerer of the Wildeeps, but with no real plot connection)—Wilson is using what I find to be a pretty deft worldbuilding technique, implying a much larger history. The book's back cover, for instance, sets the tale as "before the dragons came to Dalucan", an event we never learn more about. We spent a lot of time circling around Aqib's life and choices—what to make of his marriage, how much weight is carried by the "loss" of his daughter. There's a lot going on here looking at the male experience—we were really struck by Aqib's relationship with his brother & father, and how Lucrio shifts that balance with just a few observations—and the cost of closeting and social repression. We noted that A Taste of Honey parallels a lot of the structure and interests of Jo Walton's My Real Children, a Weird & Wonderful pick a while back, and also compared the worldbuilding to The Left Hand of Darkness (which we read in January): lots accomplished by briefly mentioning ideas and facts about the world, even if they aren't pursued further. 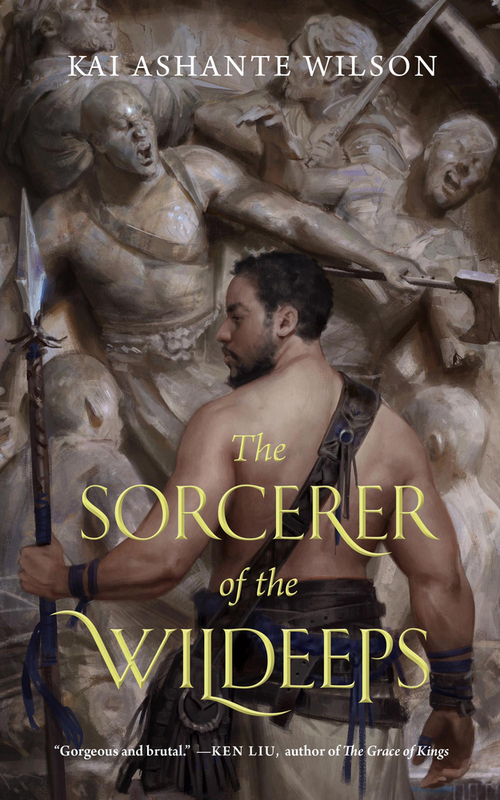 Also compared this to some of Samuel R. Delaney's work, which in turn led into talking about Gamergate & Puppygate—black queer SFF being about as far from the weird fascist resurgence as you can get. We also talked about other Tastes of Honey, including Shelagh Delaney's play and it's 1961 film version. Also noted that if you're looking for this book online you definitely want to include the author name in your searches. Usually at our book discussions, we wind up with a rough consensus on our selections, maybe with an outlier on one side or the other—but I felt like we were unusually mixed on this one, with some people really liking it and others not digging it. Aside from all stylistic criticisms & preferences, I'm wondering if some of the points against owe to its novella-length. Very unscientifically, I have this theory that the SFF novella's current rise (tons of great stuff at shorter lengths, particularly facilitated by ebooks and publishing houses like Tor) is running oddly up against a reader base that is mostly alienated from fiction magazines (so less exposure to shorter lengths) even as meganovel series have become the norm. Hm. As always, check out City Lit Books for many other book discussions and events.